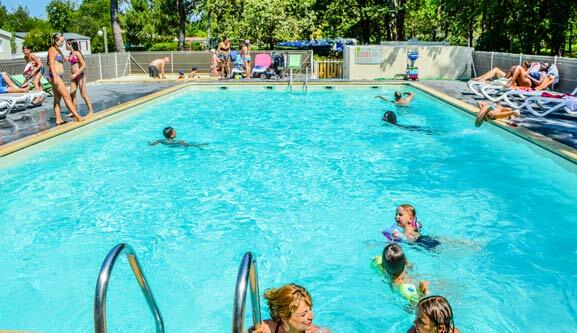 A swimming pool and activities for the whole family at Hourtin! Enjoy the pleasure of swimming in our pool which is open from 15th June to 15th September allowing you to relax and make the most of the beautiful days. We also think of the youngsters. They can enjoy themselves in their own area thanks to the paddling pool. And for those who dream of just lazing about, sun loungers are available around the pool. You can relax also on the large terrace. The pool is not supervised and children therefore must be accompanied by an adult and are the responsibility of their parents.